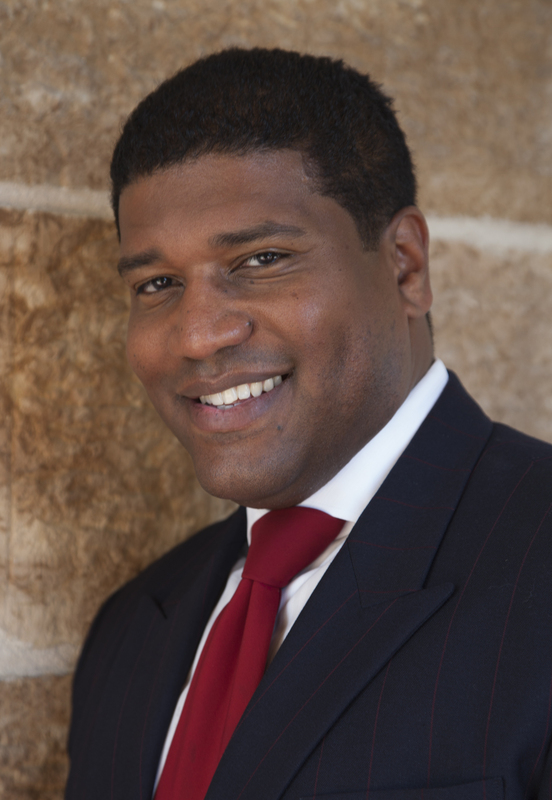 Dr. Damon A. Williams, an author, innovator and global leader in critically thinking about diversity and change management, will speak at SUNY Oswego’s December Commencement. More than 500 candidates for undergraduate and graduate degrees and certificates are eligible to participate in the ceremony at 10 a.m. Saturday, Dec. 17, in Marano Campus Center convocation hall and arena. With the co-authored book “Strategic Diversity Leadership: Activating Change and Transformation in Higher Education” and his book “The Chief Diversity Officer,” Williams has provided a sophisticated and nuanced approach to assisting leaders with the overall process of organizing diversity-themed change and developing sound diversity infrastructures and strategies. As part of an ongoing effort to build diversity capacity in higher education, he also authored “A Matter of Excellence: Strategic Diversity Leadership and Accountability in Higher Education,” a featured publication of the American Council of Education. Williams, who has served as educator, consultant and speaker to more than 300 institutions worldwide, won the 2013 Inclusive Excellence Award for Leadership from the National Association of Diversity Officers in Higher Education. His most recent role has allowed Williams to get to the heart of catalyzing diversification change by reaching kids at an early age. In September 2013, he assumed new global responsibility as senior vice president of programs, training and youth development for Boys & Girls Clubs of America, reaching more than 4 million youths at 4,000 club affiliates in the United States and on U.S. military installations around the world. In this role, Williams is the chief youth development and educational officer for the BGCA movement, as he leads the program strategy for the organization’s strategic outcome areas: academic success, good character and citizenship, and healthy lifestyles. He focuses on strengthening the club experience and creating a new generation of leaders that will expand the pipeline into higher education, providing equal opportunities for all. Prior to joining the BGCA, Williams served for five years as associate vice chancellor, vice provost, chief diversity officer, and member of the educational leadership and policy analysis faculty at the University of Wisconsin-Madison, where he founded the Division of Diversity, Equity and Educational Achievement, a vertically integrated diverse portfolio divisional infrastructure that includes one of the nation’s largest pre-college-to-college scholarship-based pipeline development programs, with more than 1,300 students; the world’s only hip-hop urban arts scholarship program learning community (Office of Multicultural Arts Initiatives/First Wave); innovative campus-wide partnerships to enhance STEM achievement; leadership development of intercollegiate athletes (Beyond the Game); faculty diversification; research centers (Wei Lab); and the four-city partnership with the National Posse Foundation. He also formerly served as assistant vice provost for multicultural and international affairs at the University of Connecticut, where he provided key leadership in the development of STEM educational initiatives that resulted in a more than 92 percent program graduation rate and nearly tripled the numbers of historically underrepresented students completing degrees in these difficult areas of study. Williams earned his doctorate from the University of Michigan Center for the Study of Higher and Post-Secondary Education, where his focus was in the area of organizational behavior and management. He received both his master’s in educational leadership and his bachelor’s in sociology from Miami University. SUNY Oswego’s Commencement will stream live, available from a link on the college homepage, oswego.edu. Time Warner Cable customers in Central New York with regular digital boxes can tune to Channel 96 for the live broadcast, while those without set-top boxes can view it on Channel 97.3.